Mr Noorani is nothing if not prolific. Here we have another tome of over 500 pages with its contents diligently distilled. It is also timely. The typicality of the RSS as a subject of study is evident. This is the second volume on it in English to be published in eight months. The first was an updated version of an earlier work by Walter Anderson and Shridhar Damle. It sought to test a set of prepositions by using a case-study approach of the organization and its network of affiliates emanating from what it called a homogenizing of society. 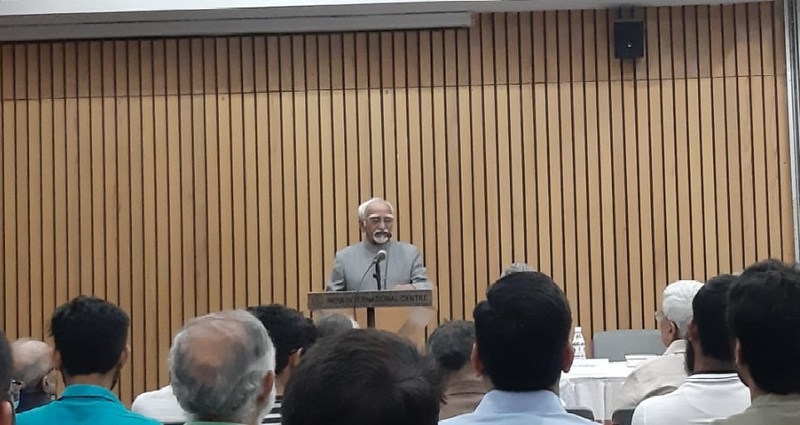 The present work by Mr Noorani goes beyond the superstructure into the origins of the organization and its progress through certain critical landmarks in the history of modern India, pre- and post-Independence. It brings on record the views of Dr Ambedkar and Jawaharlal Nehru about the RSS and its objectives. It is comprehensive in its coverage. Particularly useful are the appendices and the documents therein. The Constitution of the RSS is given in Appendix 2. The Preamble spells out its objectives, the first of these being ‘to eradicate the fissiparous tendencies arising front the diversities of sect, faith, caste and creed, and from the political, economic and provincial differences among Hindus’ and ‘to bring about a regeneration of the Hindu Samaj’. Similarly, the RSS Prayer and Oath which is administered to every entrant enjoins him to work for ‘the all-round greatness of Bharatvarsh by fostering the growth of my “Hindu religion. Hindu society and Hindu culture” ’. The focus thus is on those who profess to be Hindus who constitute 80 per cent of our population. In other words, every fifth Indian – 20 per cent of the population – is beyond the stated ambit of the RSS and therefore supposedly beyond its prescriptive ideology. Three questions logically arise here: (a) Do 80 per cent Hindus become synonymous with 100 per cent Indians? (b) Do the 20 per cent non-Hindus get conflated with the 80 per cent Hindu population? And (c) what happens to the Constitution of India, its democratic structure, its principle of equality and charter of rights, including the right to profess, practise and propagate their religion, and the duty of every citizen to value and preserve the rich heritage of our composite culture? The RSS has developed over the years public policy orientations and influence through a large number of its affiliates and by grafting and promoting Hindutva as a concept of cultural revitalization and political mobilization which ‘seeks to subjugate and homogenize the ethnic pluralities by establishing the hegemony of an imagined cultural mainstream’. This has also generated social violence by some of its adherents.